My husband can be hard to shop for and my Dad can be even more difficult. It’s hard to find unique item that will surprise them. Our list of unique gift ideas for men has some really cool tech items, games to play with the family and other fun things. The men in your life won’t be disappointed this year. To save this great list of gift ideas for later, press the “pin-it” button at the top of the page to save it to your Pinterest boards. If the guy in your life has a drone on his wishlist, check out the newest DJI Mavic Air Drone. This cool mini drone that features all of DJI’s signature technologies, allowing you to seize the moment whenever you feel inspired. Mavic Air was built to go wherever adventure takes you. Inheriting the best of the Mavic series, this ultraportable and foldable drone features high-end flight performance and functionality for limitless exploration. As tall and wide as a smartphone when folded, the Mavic Air is an ultraportable drone that stretches the boundaries of what’s possible for a device its size. The dedicated remote controller uses a foldable, low-profile, ergonomic design to hold your smartphone for maximum convenience. Detachable control sticks store inside the remote controller to pack more comfortably on the go. This cool drone supports 4K video at 30 fps – The 12.0MP camera with Adobe DNG RAW support is ready to shoot. The three-axis gimbal is capable of stabilizing the camera even during high-speed motion for smooth video and sharp photos. You can control your drone from up to 6,500′ away – The Mavic Air Intelligent Flight lithium battery provides up to 21 minutes of flight time per charge. The guy in your life will love shooting an incredible scene, editing it with just a few taps in the DJI GO editor, and he can share it instantly for everyone to see! Your guy will how small this compact, Bearz Waterproof and Sand-proof blanket is. It will fit in his glove box! This multi-purpose outdoor blanket is useful for your outdoor adventures – traveling, hiking, camping, backpacking, festivals, picnics, or just a lazy day at the beach or park! Ranging from a beach mat to an improvised shelter from the rain (rainfly) – or simply as an emergency pad & gear to have around! The unique fabric of this blanket is completely waterproof (moisture proof) & puncture resistant – a perfect accessory for your adventures in nature! Need a barrier between your belongings and the sand while at the beach? This is the blanket for you. This outdoor blanket is easy to fold & easy to use! The blanket has corner pockets you can fill with up with sand or stones to keep it to the ground (windproof). The pocket loops at each corner are ready for camping stakes. The picnic blanket was designed to fit 2 persons comfortably, but it can fit up to 4 persons. Hook it onto your backpack, throw it in your bag or keep it in your car – you never know when it’ll come in handy! This blanket folds out to 55″ x 60″ and comes in 6 great colors, including camo! These weighted blankets are a hot gift item this year and your guy will love the calming effects that a weighted blanket gives. The ZonLi weighted blanket is made of 100% breathable natural cotton, which makes it cooler and more durable than normal blanket. The filling is environmental non-glue polyester padding and Hypo-allergenic,non-toxic, odorless Glass Beads. Each blanket is sewn with quilting to keep the beads from moving around inside to keep the weight distribution balanced. The weight of the blanket you order should be 7%-13% of your weight, which would make the most of the blanket. You can choose larger blankets to cover the entire bed or personal-sized blankets. ZonLi weighted blankets are machine washable using cold water and on the gentle setting to reduce wear and tear to the blanket. See the sizing chart to choose your ZonLi weighted blanket. Great wireless internet can be important and your guy and he will love new type of connected system for seamless Wi-Fi coverage throughout your home, helping eliminate dead zones and buffering with this 3-pack! Create a reliable internet connection throughout your home with this Google Wi-Fi system. The convenient package of three connectivity points effortlessly covers even large homes up to 4,500 square feet. This Google Wi-Fi system eliminates uneven bandwidth usage among multiple devices, including cellphones and tablets, for an unimpeded connection that doesn’t lag behind. A simple app gets you set up quickly and allows you to see what’s connected, prioritize devices, and pause the Wi-Fi on kids’ devices (family controls). Your guy will love this Novel Duffle from Herschel.The tough tech construction defines a modern travel duffel bag that’s just the right size for weekend trips or a jaunt to the gym. It has a two-way zip closure, an exterior shoe compartment, another exterior pocket and plenty of room for all of his clothing and necessities. If your guy loves his BBQ, then he will love this affordable and easy Krups Electric Indoor Smokeless Grill. Enjoy year-round grilling and countertop convenience with this convenient grill. Perfect for anything from protein to fresh veggies, the KRUPS indoor grill heats up fast and delivers consistent heat from start to finish—all with minimal smoke. Even more, the KRUPS countertop grill provides two separate cooking zones, each with its own adjustable controls, which allow for cooking two different types of food at two different temperatures, simultaneously. The separate control panels each provide a handy dial. An indicator light illuminates when the grill is ready. The KRUPS smokeless grill provides nonstick grill plates to ensure effortless food release, and both the grill plates and drip tray are removable and dishwasher-safe for quick cleanup. The YETI Rambler Low Ball Set is perfect for his next tailgating party, backyard party, or just sitting around the campfire at his next camping trip. With double-wall vacuum insulation, these over-engineered drink holders keep your favorite beverage as cold — or hot — as science allows. They’re breakthroughs on another front, too — they’re the first YETIs you can fit in the palm of your hand. BucketBall is the ultimate beach, pool, poolside, backyard, camping, tailgating and outdoor game family and friends will love playing. It is portable, lightweight and convenient to take anywhere on the go. This set weighs less than 7 pounds and when BucketBall is packaged inside it’s tote bag, it takes up less than a cubic foot of space, so perfect for packing to take on-the-go. This combo Pack includes 3 different game balls: Hybrid Balls, Bucket Pong Balls, and Tailgate Balls which allow you to choose the type of game play you desire. Our Hybrid Game Balls are the most challenging game ball. Our Bucket Pong™ Balls provides a beer pong like game play experience. Our Tailgate balls do not bounce or roll making them perfect for playing at tailgates and on hard/flat surfaces. Forget the fast food drive-through. With the highly-reviewed Hamilton Beach Breakfast Sandwich Maker, your guy can enjoy a hot, homemade breakfast sandwich in under 5 minutes. 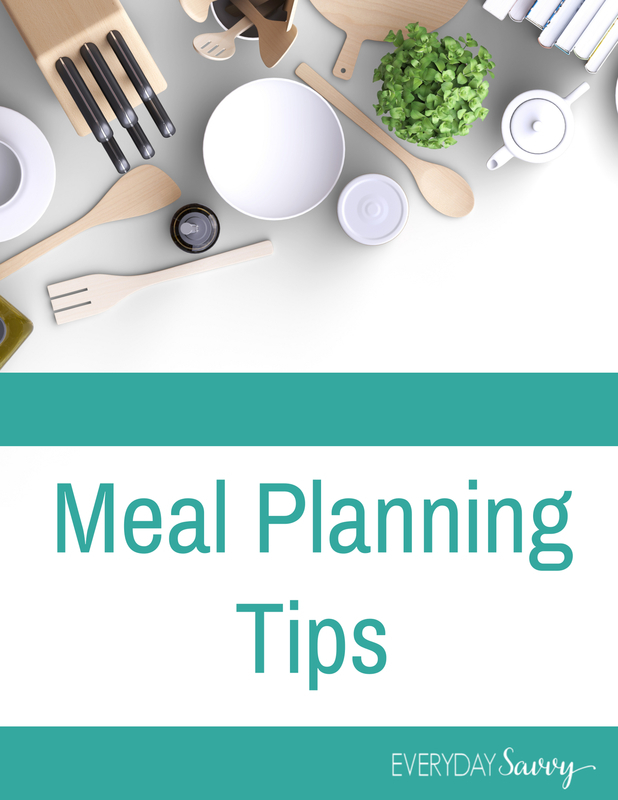 Simply place the ingredients inside, build the base of your sandwich in the bottom layer, place the egg on the cooking plate and close the lid. Slide the cooking plate out and your sandwich assembles itself. Open the lid and your hot breakfast sandwich is ready to eat. The included recipe book provides a variety of breakfast sandwich options, from the traditional egg, ham and cheese to the unique cheddar, apple, bacon and egg croissant sandwich. Cleanup is easy as all removable parts can be placed in the dishwasher! This great game is highly-reviewed and is a great game for groups of adults. Secret Hitler is a dramatic game of political intrigue and betrayal set in 1930’s Germany. Players are secretly divided into two teams – liberals and fascists. Known only to each other, the fascists coordinate to sow distrust and install their cold-blooded leader. The liberals must find and stop the Secret Hitler before it’s too late. With all the amazing craft beers popping up, who knows if your next favorite is just a sip away. Luckily, this Beer Flight tasting kit has everything you need to have a fully functional beer tasting. Paddle is made of solid cedar wood and holds all four included glasses for a classy presentation. So grab some wild brews, some good friends, and go about the business of becoming your friendly neighborhood beer expert. Each paddle is made of birch wood and includes 4 glasses, plus has a chalkboard strip right on the paddle so your guy can write in the beer types! The Stress Relieving Desktop Punching Ball takes an average, squeezable stress ball to a whole new level. Made from extremely durable and resilient material, the punching ball itself can withstand a beating from your fist without ever becoming weakened or deflating. With these punching balls, you can strike it again and again to ease the stress from your workday until you are feeling calm again. If your guy has over-the-ear headphones or gaming headphones, then he will love this sleek and affordable wooden headphone stand to help him stay organized. The stunning wood finish will go with just about any decor and it is sturdy and includes 4 grippers on the bottom. Men love Herschel because they make quality goods that last. This Herschel Travel Kit bag is a practical gift and comes in lots of cool colors that your man will love, including this nice camo print. It is designed to keep all his toiletries together for journeys long or short, the token is a modernized dopp kit. It includes an internal organizer and a selection of pockets to keep everything in place. The guy in your life will love the luxurious comfort of this Sunbeam Velvet Plush heated throw on cold winter nights. It is made of Luxurious Premium-Soft Velvet Plush and comes in several great colors. The ThermoFine warming system senses and adjusts heat to deliver consistent warmth. 3 Heat Settings & 3 Hour Auto-Off. Machine Wash & Dry. It also comes with 5 Years Limited Manufacturer’s Warranty. This Bamboo Multi-device Charging Station Dock and Organizer is designed to provide a home for all of his favorite items. Misplaced chargers and tangled cables are now things of the past – all thanks to the original (patented) design electronics charging station by Great Useful Stuff! The guy in your life will love staying organized with this great stand. It holds laptops, tablets and phones. Bring the full sound experience on the go with you with this Bose SoundLink Mini Bluetooth Speaker II . My husband bought one of these last year and this little speaker delivers amazing sound. The Sound Link Mini Bluetooth speaker II delivers full sound with dramatically deeper lows than you’d expect from a speaker that fits in the palm of your hand. And because it’s wireless and ultra-compact, it’s easy to take Bose sound anywhere. The Sound Link Mini II has a built-in speakerphone, so you can take calls out loud with clear sound. And voice prompts talk you through Bluetooth pairing, so connecting to your music is easy. The speaker’s lithium-ion battery provides up to 10 hours of unplugged playtime, and it can be conveniently charged from most USB power sources. You won’t find a better bluetooth portable speaker. This unique Apple Sport Watch enables you to take a step ahead into the world of technology, no matter whether you’re a tech geek or a sports addict. This dependable and versatile wearable gadget helps you organize your daily activities efficiently and achieve your full potential. The unisex watch is a virtual wrist-worn assistant. With this Apple smartwatch on your wrist, you can receive and make calls, dictate text messages and send them to your friends or colleagues, call a taxi, browse through plenty of apps, and even track your fitness activity – all this without the need to even take your smartphone out. Mobile Virtual Reality is right here with these affordable Virtual Reality Glasses! You wanna experience IMAX movies any time and anywhere? These cool glasses offer optical and aspheric lens tech with nanometer process, more immersion and high clarity. They have extra anti radiation and HD anti-blue light lens to protect his eyes; Easy adjustment of pupil distance (PD) and focal distance. These will give him the Panoramic theatre experience with extra large viewing angles. Be sure this headset fits your guy’s smartphone. This super neat wearable and mountable will capture all of your action moments on camera. Your guy will love shooting video and photos with this cool camera. The GoPro Hero 7 gives freakishly smooth footage. Smart-capture superpowers. Battle-tested and waterproof without a housing. This is HERO7 Black, the most advanced GoPro ever. With HyperSmooth stabilization, you’ll get gimbal like video— without the gimbal. A new intelligent photo mode delivers the best, most brilliant images automatically. And now with live streaming and the GoPro app, you can share every amazing moment as you live it. HERO7 Black takes GoPro performance—and your photos and videos—to a whole new level. Adult Star Wars fans will love this super soft, Star Wars Jedi Master Fleece Bathrobe . How does a Jedi relax after a hard day of fighting Darth Vadar and trying to free the Galactic Empire? He takes a shower and relaxes in his official Jedi bathrobe. Not only does it keep him warm and snugly but the hood provides extra concealment in case Stormtroopers are near. Now you can own the same bathrobe that the Jedi Masters wear. This comfy bathrobe is brown with the Rebel logo embroidered in brown on the front, a lightsaber ebroidered on the left hip and an embroidered belt to finish off the costume look. This cool, highly-reviewed robe is sized for adults and is one-size-fits-most. The men in your life will love the highly-addictive Tiki Toss game. This highly-reviewed game sets up in minutes and is made of 100% bamboo. Tiki Toss is being called the new dart board. A perfect addition to any patio, game room, workshop or office – this Classic hook & ring game provides non-stop addictive fun for all ages. All components are included for a simple 5 minute setup. If the guy in your life loves a clean car or needs to clean up quick spills around the house, he will want one of these highly-reviewed BLACK + DECKER Cordless Hand Vac for a quick clean-up. Pull out the extender arm and reach those hard-to-reach areas. Your guy will love the cordless freedom. The sleek CHV1410L boasts lithium technology, strong suction and fade-free power. With a translucent bagless dirt bowl, the dirt is easy to see and empty. Ever ready, the hand vac can hold a charge for up to 18 months when off the charger. This Under Armour Men’s Performance Polo will keep the man in your life looking great in casual situations, on the golf course or playing sports. This shirt is designed to keep him cool and mobile and it comes in so many cool colors and sizes. Adults and kids love the game of Rollors . This highly-reviewed game is played at the beach or on the lawn and it is a cross between horseshoes, bocce ball and bowling. This game is great for reunions, back yard parties or beach vacations and the whole family can play. The pieces are a nice quality wood and the game comes with it’s own portable storage bag. I was recently looking at these at my local sporting goods store and another customer warned me to buy the expensive and more durable chair as the more affordable ones did not work as well. This neat, well-made Stadium Chair is on my husband’s wish list this year. We watch some of our kids’ sports in stadium seating and it has gotten so uncomfortable for hours at a time. We could really use these at our house! These chairs have a durable, steel frame construction, are made with a durable reinforced canvas and have cushioned seating. They fit most wooden or metal stadium benches. They also come in 14 different colors so you can buy the color of your home team. This richly illustrated book, 50 States 5000 Ideas, from the travel experts at National Geographic showcases the best travel experiences in every state, from the obvious to the unexpected. Sites include national parks, beaches, hotels, Civil War battlefields, dude ranches, out-of-the-way museums, and more. You’ll discover the world’s longest yard sale in Tennessee, swamp tours in Louisiana, dinosaur trails in Colorado, America’s oldest street in NYC, and the best spot to watch for sea otters on the central California coast. Each entry provides detailed travel information as well as fascinating facts about each state that will help fuel your wanderlust and ensure the best vacation possible. In addition to 50 states in the U.S., the book includes a section on the Canadian provinces and territories. If you love this list of unique gifts ideas for men and you need more gift ideas, and you need more gift ideas, then check out our great gift ideas page. We will be adding more gift ideas and holiday shopping tips all month. Be sure to sign up for our free newsletter so all the updates comes right your inbox.